The Paper Posie Publishing Company, originally founded by author and designer Penelope (Penny) C. Paine in 1999, is a publishing and manufacturing company that focuses on quality children’s “concept” picture books and best selling books and products for young wedding attendants or guests. We welcome you to purchase our Childrens' Concept Books below, or to visit Kids at Weddings for wedding related books and gift items. Fergus, a Scottie dog was pretty happy with his life and was looking forward to summer until a visitor arrives to upset his routine. Although he is determined to keep himself to himself he ends up giving a helping hand and gains a new friend in the bargain. Set in the beautiful Scottish island of Skye, Carl Wenzel’s colorful illustrations reflect Scotland’s rich culture and scenery. Honeybee Flossie looks forward to growing up and becoming a worker bee, But she is tempted away from her tasks by a handsome dragonfly only to find herself a long way from home. With some help from her sisters Flossie focuses on what is important and learns to stand up for herself. Delightful illustrations reflect nature and the special roles bees have. Horatio creates a vision of a kind and compassionate world. In this charming myth, an abused kitten can't understand why everyone is so mean to him... dogs chase him, wasps sting him, gulls squawk at him, and people tease him. Then Horatio is befriended by a gentle London lad who takes him to the Royal Observatory where he learns that the world runs on MEAN time. 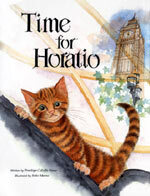 In an effort to establish KIND time, Horatio climbs to the very top of Big Ben. Itoko's magnificent illustrations take you on an unforgettable tour of the Thames River and the inner working of Big Ben. Learning to be a leader can change things for the better. 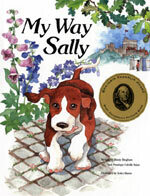 Sally, a fox hound puppy who befriends a fox kit, soon learns she is to chase her friend in the hunt. She also learns that, when you are a leader, everyone looks up to you... and you decide which way to go. In adventures that take her all the way to Windsor Castle, Sally works hard to command the respect of the pack, and leads them on a win-win chase even the fox enjoys. Clarissa teaches children to recognize their special worth. Children are special in their own special ways. 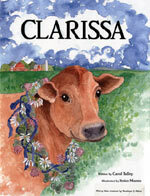 Clarissa is just a plain brown cow - to herself and almost everybody else on the Larsen Farm. This story of how she rescues a troop of prize animals and proves the worth of her own abilities is a blue-ribbon lesson for every youngster who learns it. Itoko Maeno's award winning illustrations depict the lush Wisconsin dairyland, a magical county fair, and a child-enchanting cast of two and four-legged characters. 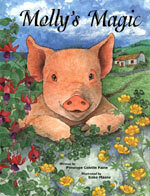 Mimi encourages all children to use their imaginations and creativity. 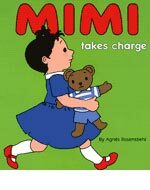 Mimi is a role model for everything childhood should be. 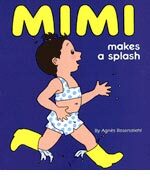 Whether plunging into the sea or inventing games to play in the dark, Mimi is a fearless explorer. 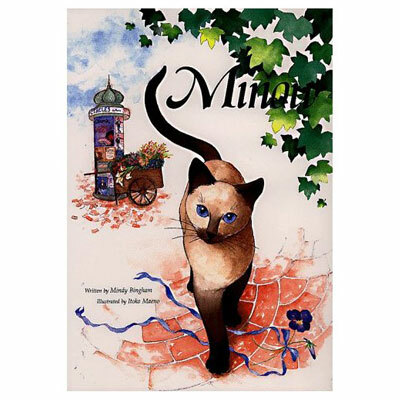 As she embarks on one imaginative adventure after another, Mimi is charming, disarming, creative, confident and enjoyed by millions of adults and children worldwide. Each book contains ten delightfully imaginative picture stories. Perfect for preschoolers, her questions at the end of each story stimulate discussion. Her "Bright Ideas" at the end of each book list fun-filled family activities. Papa Piccolo shares his strength and finds his tender heart. 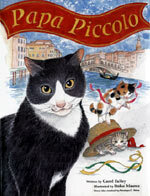 Piccolo leads a free-spirited life of adventure and possibilities - until two homeless kittens decide to adopt him. As he enters into a new kind of adventure, children will delight in seeing how the kittens help Piccolo discover his own tender heart. Itoko's captivating illustrations bring the story alive and capture romance and beauty of the canals, bridges, markets, and byways of Venice. Molly's creativity is as charming as the Emerald Isle. In this charming story of farm life in western Ireland, the O'Malley family's plan to supplement their meager farm income with a seaside tea garden, which seems destined to failure. Then, Molly's example shows them that adversity can best be overcome with a little creative thinking. The extensive Discussion Guide makes sharing the book's messages with children a delight as you explore Molly's creative problem-solving strategy, discuss farm life and animals, and examine the customs and geography of Ireland. The perfect beginning for a lifelong love of nature. 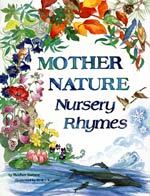 These delightful rhymes, combined with Itoko Maeno's captivating illustrations, will nurture a deep respect and love of nature in small children. Discussion and activity guides are included. Featured in the National Wildlife Federation and Boston Art Museum Catalogs. This charming book acts as both a guide to the city of Paris, where the story occurs, and as a metaphor about learning to become self-reliant and self-supporting. "Paper Posie's Kids at Weddings has delightfully solved the problem of entertaining children at weddings."